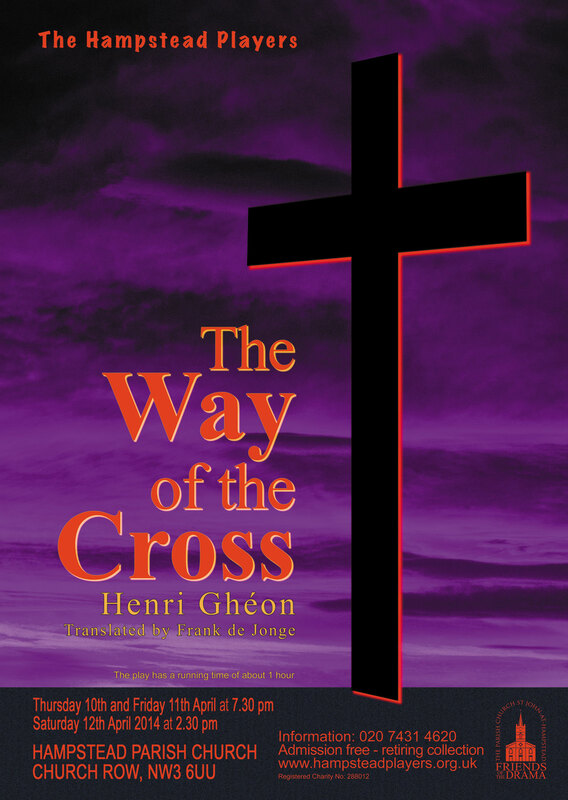 The Way of the Cross by Henri Gheon, translated by Frank de Jonge. The play portrays the Passion of Christ, following the fourteen Stations of the Cross, and will take place in Passiontide on the three days preceding Palm Sunday. "Let us seek the Cross! Until men have seen it, touched it, honoured and adored it, they will never understand the way by which Christ would fain lead them". These are words attributed to St. Helena, the mother of the Roman Emperor Constantine I and the reputed finder of the True Cross, as she set out on pilgrimage to the Holy Land. This play was originally an extract from "The Mystery of the Finding of the Cross" by Henri Gheon, but in its suggestive power and religious emotion came to be regarded as standing on its own. The play begins with words spoken by the Reciter: "God is led to the slaughter. The just redeems my loss. He shall drink of the torrent's water. And he shall be nailed to the Cross"
Thereafter it follows the traditional fourteen Stations of the Cross. Each scene portrays one Station, with the actors playing the part both of watchers and of characters in the Passion, by speaking for them and describing what is happening, rather than by actually portraying it in action. They also look deeper, recognizing man's causative role in Christ's sacrifice of Himself – "Had we but lived better, Had we but loved more, He would not have died". Herein is part of the power of the play in that it recognizes our need for redemption as well as the act of redemption. And so it may help us to understand the way in which Christ would lead us and to feel something of the depth of God's love.